All B Corps strive to be best for the world. By scoring in the top 10% of all B Corps for community impact, the following businesses are honored as the Best of the Best for Community Impact. d.light manufactures and distributes solar lighting and power products providing access to reliable, affordable, renewable energy for nearly 30 million people in 60 countries. Echale is a social housing production company that delivers affordable homes to communities through the implementation of innovations in construction technology and finance, streamlining the self-build process and strengthening social inclusion. Give Something Back Office Supplies (GSB) is California's largest independent office supply company, with giving back to communities integral to its core mission and purpose. Greenlight Planet is a social enterprise driven by a profound personal mission to design and deliver the most innovative, reliable and affordable energy solutions for the under-served developing world households. 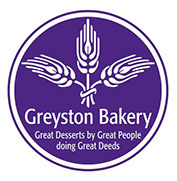 Greyston Bakery is most famous for its long-standing status as Ben & Jerry's brownie supplier and for having an open-hiring policy that provides the people of Yonkers, NY with employment opportunity regardless of work history. One PacificCoast Bank is an innovative, triple-bottom line, community development financial institution. 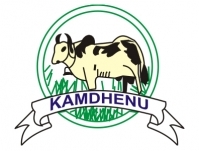 Shree Kamdhenu Electronics Pvt. Ltd. develops technology-based products, such as milk analyzers, microprocessors and accounting software, for cooperatives and unions. Roshan is Afghanistan's leading telecommunications provider. Sunrise Community Banks is in the business of developing strong communities that provide homes and jobs to their residents. Bay Area Medical Academy offers job-oriented training in high-growth, high-demand, specialized areas of the healthcare field and prepares individuals for successful long term careers. Catchafire matches professionals who want to volunteer their skills with nonprofits and social enterprises that need their help. Cloud for Good is the leading Salesforce consulting partner for nonprofit and educational organizations. Community Wealth Partners offers strategy and implementation services to nonprofit organizations and philanthropic foundations, partnering with them to design and implement innovative approaches to growth and sustainability. Delight manufactures and distributes hearing aids at affordable prices. 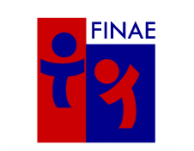 FINAE is a social impact financial institution created to give more students access to private university education. 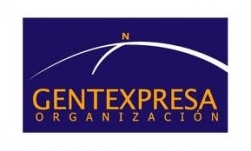 Gentexpresa works to improve levels of human development by promoting social inclusion and building entrepreneurial societies in which citizen leadership and collaborative work are encouraged, supported, and promoted. Hybrytec Solar designs and installs solar energy systems for health centers, fishing villages, schools, hotels, and private customers. Imprint Capital is an impact investment firm that creates and manages high performing impact investment portfolios for foundations, families, and financial institutions. Ingage Partners delivers Information Technology and Management Consulting services to help their clients successfully navigate business and technology change. Juhudi Kilimo finances targeted agricultural assets for smallholder farmers and rural enterprises across Kenya. Operating exclusively in very rural areas, they give smallholder farmers access to the tools they need to scale up and succeed. MaineWorks is a temporary staffing company providing meaningful work opportunities within the field of industrial construction to people with barriers to employment. Mal Warwick Associates help nonprofits and political organizations build long-term, mutually rewarding relationships with individual donors through integrated fundraising and marketing programs. New Resource Bank supports businesses, nonprofits, and people that are pursuing innovative solutions to environmental, economic, and social challenges. Next Street provides financing and strategic advisory services to urban small business owners. Pots ‘n Pans (PnP) is a fine-dining, social enterprise restaurant based in Hanoi, Vietnam that provides management, leadership and hospitality training to disadvantaged young people. Quetsol provides affordable solar power to off-grid communities. South Mountain Company is an employee-owned design, build, and renewable energy company on Martha's Vineyard. The company plans and develops residential and commercial buildings, as well as designing and installing solar & wind energy systems and energy efficiency improvements. SQA Pharmacy is a “closed door” institutional pharmacy that provides pharmacy services to community based managed health care facilities. TAS is a real estate development company with a commitment to Shaping Beautiful Cities™. Trillium Asset Management, LLC is the oldest independent investment advisor devoted exclusively to sustainable and responsible investing (SRI). Veris Wealth Partners, LLC is a wealth management firm committed to helping align wealth with a customer's mission. 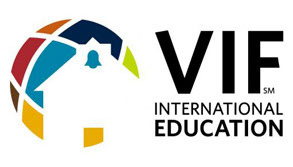 VIF International Education is the nation’s largest J-1 teacher exchange sponsor and a provider of language immersion and global literacy programs. A nonprofit, community development financial institution (CDFI) and banking entity, Virginia Community Capital (VCC) supports housing and community development ventures, increases jobs, and builds sustainable communities throughout the Commonwealth of Virginia. 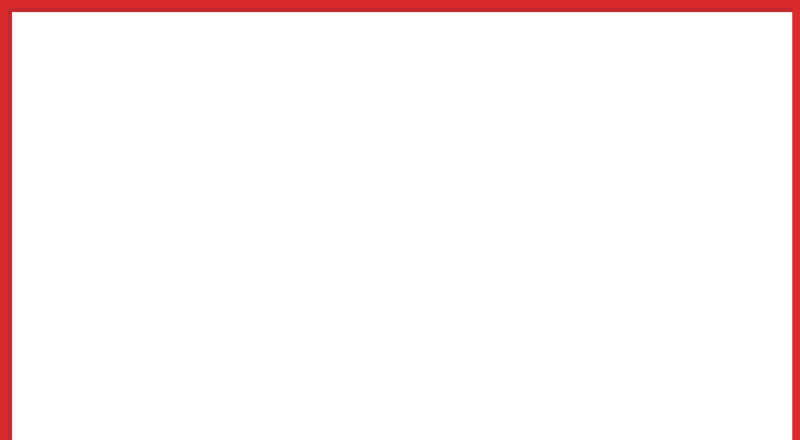 Impact Makers is a management and technology consulting company based in Richmond, Virginia that contributes 100% of their net profits to charities. B Corp Solutions collaborates with leading corporations and social entrepreneurs to solve the most pressing issues in our communities while creating jobs and building wealth for investors. Beartooth Capital is a leading impact investment fund manager whose mission is to generate strong investment returns, real conservation results, and community benefits. Blue Garnet is a strategy and management consulting firm that works with organizations to create lasting social change by harnessing the combined power of business acumen and social impact. Business Culture Consultants provides coaching and management consulation for corporations that wish to improve company leadership as well as enhance their connection to their values and mission. Buy The Change works with NGO’s and small craft co-operatives throughout the developing world to source fairly-traded, woman-made accessories, jewelry and home décor products, many of which are made from ecofriendly, up-cycled materials. Cage Free Productions is a video production company with the mission of creating impactful media that promotes social justice, human rights, and sustainability. CDI Lan generates income & employability through education & training in low income communities by providing access to high social impact solutions through internet cafes. Change Catalyst works to promote positive social and environmental change with strategy, branding and storytelling. ChangeIt is a giving program that enables users to support their favourite causes with every electronic purchase. Council Fire is a world-class management consulting firm working with clients to "operationalize" sustainability and harness the power of information to drive competitive advantage and success in both the public and private sectors. DO GOOD is a socially minded real estate firm based in Wilmington, NC that donates 10% of sales commissions to local charities and nonprofits of their clients' choosing. Down to Earth Markets curates and manages approximately 20 farmers markets in Westchester County, Rockland County, and four of the five boroughs of New York City. Education Funding Partners provides Fortune 500 corporate marketing sponsorships exclusively for major public school districts. Emerge Financial Wellness is a workplace-based financial wellness program that partners with employers to help their workers plan their financial futures. 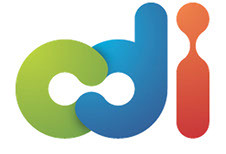 Emprediem is a management and training company focused on social innovation. Emprediem also offers workshops and training in innovation and entrepreneurship. Farmland LP acquires conventional farmland and converts it to organic, sustainable farmland. Fledge is a “conscious company” incubator, following the large and growing trend of consumers who are more informed and more conscious in the environment, their health, society, community, and even conscious of their own consumption. FlipGive provides a digital platform that connects brands to the $200+ billion fundraising market, converting customers into a sales force to raise money. FonoEmpleo is a firm that specializes in professional development, job placement, and career enhancement. GRID is a free magazine providing upbeat news and resources to the greater Richmond area. Green Retirement Plans helps businesses, nonprofits and their employees harness the power of their retirement plan assets for good. Ideal Network is a values-based marketplace that creates collective impact by connecting consumers, merchants and causes. Iroquois Valley Farms is a domestic private equity company who works to connect investors directly with local and organic farmland transitioned by local family farmers. L. is a condom company with a cause: to support women globally by focusing on their sexual empowerment. L. International creates the highest quality condoms for the modern consumer in safety, comfort, and design. La Bicicleta Gestion de Desarrollo is a Chile based consulting firm with the mission of fostering social development and sustainability within organizations. Manzimvula Ventures is a values-based consulting firm whose purpose is to support organizations who choose to build socially responsible and profitable enterprises that profoundly impact their organizational communities and the individuals they affect in a compassionate and sustainable manner. Mikado is a social enterprise committed to serving sustainable development and yielding social impact. They craft innovative models and solutions by creating partnerships among the private sector, civil society, academic institutions and international organizations. Ned Schaub Consulting Social Change Strategy (NSC SCS) facilitates and supports sustainability planning, philanthropic strategy, retreats and workshops, particularly for organizations in the healthcare and social service sectors. New Avenue is an online platform that sells architecture services, loans and construction to homeowners who want to add a second unit to their single family home. New Day Films is a filmmaker-run distribution company providing award-winning films to educators since 1971. One Earth Designs develops and markets technology solutions, including solar ovens and generators, for those who lack access to clean and affordable energy. PwrdBy develops community awareness and support for charity through photo-sharing apps on iPhone & Android. Renewal Funds is a social venture fund dedicated to delivering financial returns by investing in leading environmental and social mission businesses in Canada and the USA. RSF offers investing, lending, and giving services that generate positive social and environmental impact while fostering community and collaboration among participants. SNP offers profesional consulting to firms that wish to engage in best practices, thought partnership, and intelligent business decision making. In doing so, SNP is dedicated to environmental sustainability and thoughtful investment. Social Enterprise Associates is a consulting firm offering business acumen, managerial experience, financing opportunities, and practical research to business and community efforts seeking social good. Social Good Network works at the confluence of cause and commerce, using its innovative software to create and measure the success of digital cause marketing campaigns for brands. Squag is an online social platform specifically designed for kids 8-18 anywhere on the autism spectrum. Sustainability Advantage provides educational talks and resources to help lead a transformation toward a sustainable global society. The Sustainable Law Group, PC serves as corporate counsel to nonprofits, businesses and estates. Attorneys Cecily Jackson-Zapata and Becki Ueno provide organizations and businesses in California with comprehensive legal counsel. Sweet Livity LLC offers innovative coaching and wellness programs to help people and organizations who serve the community to do their jobs to the fullest. TechChange provides technology training for social change, delivering online certificate courses to individuals and building customized courses and learning experiences for organizations. The Arnold Development Group is a purpose-driven real estate investment and development firm that creates sustainable mixed-use projects. Tools4change delivers consultancy on strategies, tools, and services to the non profit sector to raise money from private sector through fundraising campaigns, cause-related marketing and Corporate Social Responsible initiatives. Veomás is a women-owned company which provides the first social enterprise coaching services in Southern Chile. Watershed Capital Group is an investment bank advising companies, funds, and institutional investors that are advancing the sustainable economy. Weinreb Group is an executive search and consulting firm with a specialization in sustainability and corporate social responsibility. WorkSquare is a social enterprise with the mission of empowering workers to improve their financial stability through the provision of job opportunities with financial training designed to encourage savings and building of assets. x-runner provides waterless toilets and waste management services to families that do not have standard toilets. Description: PhilanTech provides the PhilanTrack online grants management system—an innovative online grant proposal, reporting and management system that enhances accountability, transparency, and efficiency. *Companies that consist entirely of a sole proprietor or two working owners fall into the “zero-worker” category. Zero-worker companies are not assessed on their worker practices, so their scores are calculated differently. Accordingly, the top 10% of zero-worker companies was calculated separately from the top 10% of companies with 1-9 employees. The cut-off for a zero-worker company is a score of 84; the cut-off for companies with 1-9 employees is 69. To learn more, check out our criteria page. The following are the honorees that were scored using the 0-worker track: B Corp Solutions, Buy the Change, Change Catalyst, Cutting Edge Capital, DO GOOD Real Estate, EmpreDiem, Fledge LLC, Greater Richmond Grid, Green Retirement Plans, L. International, Ned Schaub Consulting, New Day Films, Philantech, SNP Strategies, Squag, Sustainability Advantage, Sustainable Law Group, Sweet Livity, The Arnold Development Group, Veomás, and Watershed Capital.